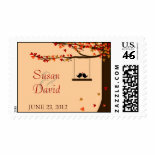 Here’s a cute wedding invitations set that features two love birds on a tree swing hanging from an oak tree. 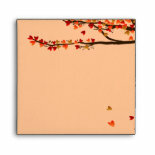 The leaves of the oak tree are hearts, and those hearts are falling to the ground. 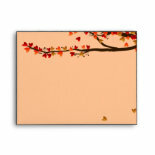 This is a great wedding invitation set for a fall wedding, although it is also a best selling design in the spring and the summer. 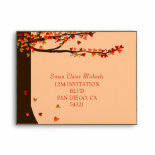 The background color of the invitation is coral peach color and the leaves are various shades of red, orange, and sage green. The oak tree trunk is brown. The main wedding invitation is square. The back of the invitation also has full color printing at no additional cost. 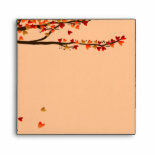 It has the tree design with the falling hearts, but not the love birds. There are many coordinating items in this set including the invitation, RSVP card, bridal shower invitation, save the date cards, address labels, thank you cards, reception cards, love bird stickers and seals, table numbers, place cards, reception seating charts, wedding programs, and matching envelopes for the invitations and RSVP cards. 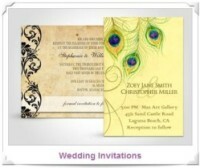 Start by clicking on any of these love birds wedding invitation items below. 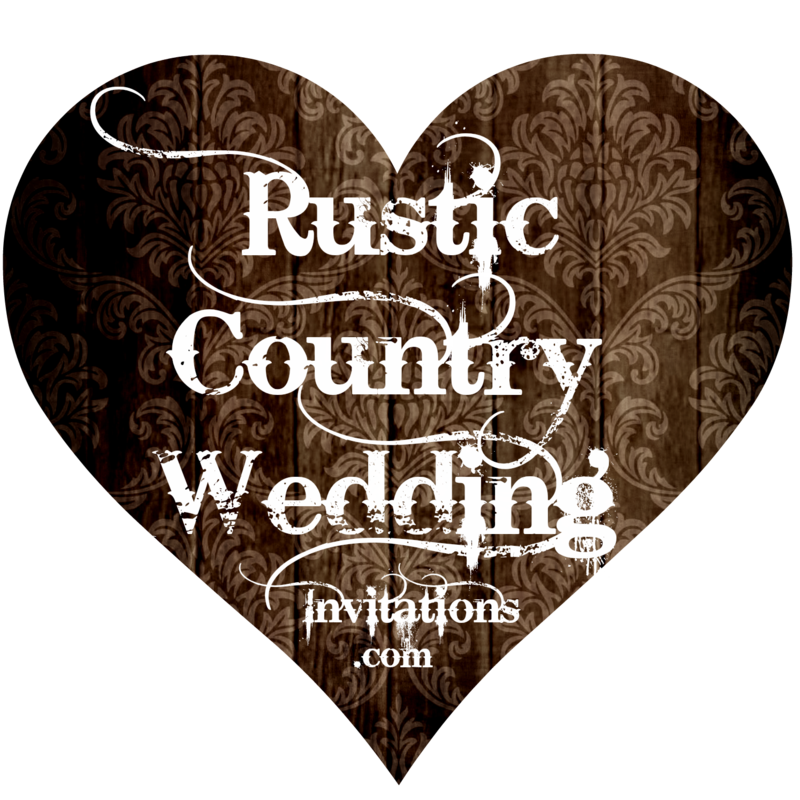 This entry was posted in Fall Wedding Invitations, Love Birds Wedding Invitations and tagged country style wedding invitations, country theme wedding invitations, country wedding invitations, love birds wedding announcements, love birds wedding invitation set, love birds wedding invitations, oak tree wedding announcements, oak tree wedding invitation, oak tree wedding invitations, oak tree wedding invitations set, oak tree wedding theme, rustic country wedding invitations, tree wedding invitations. Bookmark the permalink.